New Delhi, 21 August 2017: The finance ministry is now ready to provide capital support for facilitating consolidation among state-owned banks, which are reeling under mounting bad loans., official sources said. 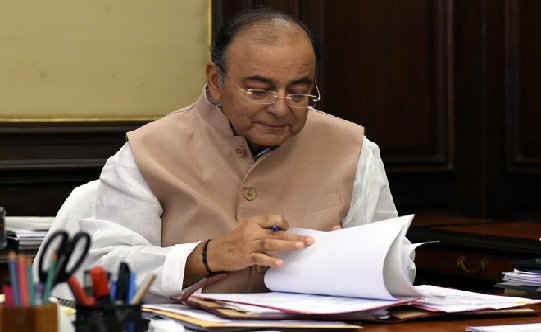 The Union Cabinet chaired by the Prime Minister Shri Narendra Modi has given in-principle approval for Public Sector Banks to amalgamate through an Alternative Mechanism (AM). The decision would facilitate consolidation among the Nationalised Banks to create strong and competitive banks. The decision regarding creating strong and competitive banks would be solely based on commercial considerations. The proposal must start from the Boards of Banks. The proposals received from Banks for in-principle approval to formulate schemes of amalgamation shall be placed before the Alternative Mechanism (AM). After in-principle approval, the Banks will take steps in accordance with law and SEBI’s requirements. The final scheme will be notified by Central Government in consultation with the Reserve Bank of India. In 1991, it was suggested that India should have fewer but stronger Public Sector Banks. However, it was only in May 2016 that effective action to consolidate public sector banks began to be taken by announcing amalgamation of six banks into the State bank of India. The merger was completed in record time, unlike earlier mergers of State Banks of Indore and Saurashtra. SBI is now a single bank with about 24000 branches, over 59000 ATMs, 6 lakh POS machines and over 50,000 business correspondents, which serve all parts of the country, including far flung areas. Indeed 70% of SBI’s network lies in rural and semi urban areas. In that sense, the bank serves to unite India through a uniform banking culture. It also has a significant international presence, and is one of the largest global banks. Its size, financial strength and outreach have made it possible for customers to access a worldwide network of branches across all time zones, as well as to a very wide variety of banking products and superior technology. Loans to the small business man or woman and to the Krishak have become cheaper as SBI offers the lowest lending rates. More than 8.6 lakh merchants have been on board on BHIM Aadhaar, Bharat QR and POS, increasing the digital banking footprint. SBI has successfully raised Rs.15,000 crore QIP. An official source said: "It is not necessary that a larger public sector bank should overtake a small or mid-size lender. If there is synergy, two or three banks can merge to create a bigger and stronger entity so that the dependence on public exchequer is minimised." Earlier this year, the government had approved the merger of SBI's five associate banks with itself. In March, the Cabinet also approved the merger of Bharatiya Mahila Bank (BMB) with SBI. Five associates and BMB became part of SBI on April 1, 2017, catapulting the country's largest lender to among the top 50 banks in the world. State Bank of Bikaner and Jaipur (SBBJ), State Bank of Hyderabad (SBH), State Bank of Mysore (SBM), State Bank of Patiala (SBP) and State Bank of Travancore (SBT), besides BMB, were merged with SBI. With the merger, the total customer base of the SBI reached around 37 crore with a branch network of around 24,000 and nearly 59,000 ATMs across the country. The merged entity began operation with deposit base of more than Rs. 26 lakh crore and advances level of Rs. 18.50 lakh crore. There are now 20 PSBs other than SBI. The banking scenario has changed since 1970/80 when banks were nationalised, with an increased banking presence from Private Sector Banks, non-banking Financial Companies, Regional Rural Banks, Payment Banks and Small Finance Banks. The decision is expected to facilitate the creation of strong and competitive banks in public sector space to meet the credit needs of a growing economy, absorb shocks and have the capacity to raise resources without depending unduly on the state exchequer.